Almost 50 years after Fortunoff opened its flagship Long Island store, Epoch 5 announced the return of this iconic brand with the opening of Fortunoff Fine Jewelry www.fortunoffjewelry.com in Westbury. Esther Fortunoff, granddaughter of Max and Clara Fortunoff, founders of the Fortunoff regional chain of department stores, is heading up the reintroduction of the Fortunoff Fine Jewelry brand. Epoch 5 supported the re-introduction with a media relations campaign, including placements in Newsday, Luxury Living and 25A magazines, and on News 12 TV, and a launch open house and ribbon-cutting ceremony. Epoch 5 has worked with numerous well-known brands to introduce new locations, including King Kullen Grocery stores, Bethpage Federal Credit Union branches, Marriott Windwatch, Bounce TrampolineSports, Morton’s of Chicago, Long Island Children’s Museum, and others. 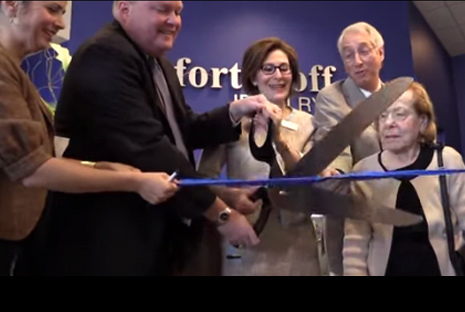 Fortunoff was founded in 1922 as an East New York housewares store and quickly grew to become a revered brand noted for quality, selection, service and value — eventually opening its Long Island superstore in Westbury in 1964. Throughout the years, generations of customers have come to trust Fortunoff as the go-to destination for their most precious purchases to mark special occasions.